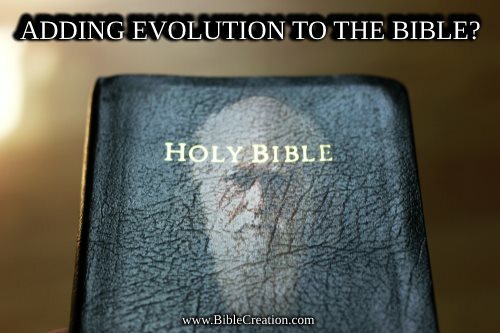 Adding Evolution to the Bible? Once upon a time, a guy was involved with biblical creation science. Or, as he called it, young earth creationism (YEC). He became disillusioned with it, embraced evolutionism, turned on his fellow creationists in a show of public humiliation, and refused to give his name due to "harassment" from creationists. He trolls the Web to this day promoting his new religion and hating biblical creationists while pretending to be a respected Christian "professor". His knowledge of the Bible, creation science, theology, and other matters show that he is a fake creationist. I lack belief that he is a Christian. But this is not about that sidewinder and his fictitious story. Instead, we're talking about Denis Lamoureux, who rejected biblical creation and embraced theistic evolution. The only way to get millions of years and evolution out of the Bible is to put them in through eisegesis. Like the character described above, Lamoreaux he was formerly a biblical creationist and rejected biblical truth to embrace Darwin. Lamoreaux's book shows his lack of understanding of both creation science and theology, and he clearly does not understand the repercussions and inconsistencies of compromise. He even goes as far as to claim that Genesis 1 was an ancient poetical structure (which has been disproved many times) and somehow, mysteriously, the first eleven chapters of Genesis are mostly irrelevant, but from chapter twelve onward, Genesis is no longer unreliable. Worse, Lamoreaux believes that Jesus didn't refute erroneous beliefs, but accommodated their brutish ignorance; Jesus was a liar. Over the last number of years, influential evangelical theologian and scientist Dr. Denis Lamoureux has been actively promoting evolutionary creation. In his new book Evolution: Scripture and Nature Say Yes! Lamoureux offers a number of explanations to justify his belief in evolutionary creation. This review will focus on several key issues raised in the book. Even if you're not planning on reading the book that is reviewed, I'd be much obliged if you'd read the article. Just click on "Evolution: Scripture and Nature Say No!" Is the Inerrancy of the Bible Important?